It’s time to mark July 8th on your calendars! Get ready to see a concert like none other as Foreign Bass Entertainment proudly announces its first ever annual Caribbean Beach Festival with an extraordinary thrilling line-up of vibrant and sensational performances. 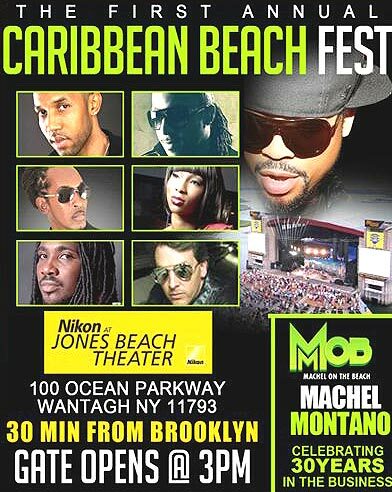 Come celebrate the creation of The Caribbean Beach Festival – “Machel on d’ Beach” (MOB) at Jones Beach, a daylong concert catering to over 10,000 people, featuring the reigning 2012 triple Soca crown winner, Machel Montano and his HD Family. 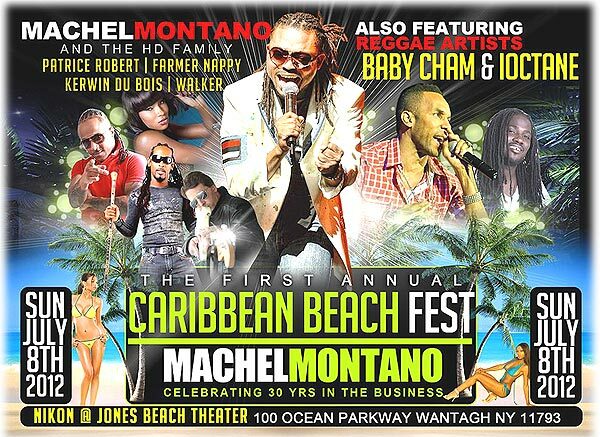 This will be the first time Jones Beach will be the home of a Caribbean Concert featuring an amazing production of rhythm and melodies of the #1 Caribbean artist Machel Montano and the HD Family, as well as, a stellar line-up of Caribbean artistes Kerwin DuBois, Farmer Nappy, Patrice Roberts and Reggae Artists Baby Chame and I-Octane and Walker Hornung. On July 8th Jones Beach concert goers and celebrities will experience a unique flavor of ambiance fused with the element of Caribbean with the backdrop of Jones Beach. With vibes and atmosphere expected to mesmerize the avid concert-goers palette, this first of its kind event is touted to break records and etch its name into top U.S. Caribbean concerts. So bring out the entire family for a day full of fun and feting on the beach! Gates open at 3pm, free parking for thousands of cars and only 30 minutes from Brooklyn.